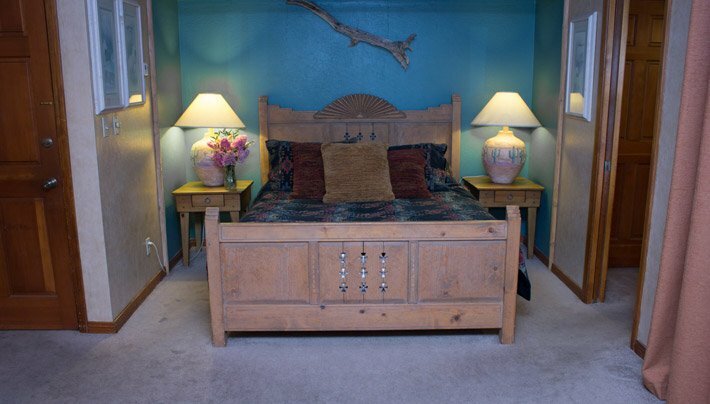 The Southwest room has an authentic and romantic Southwest décor with a queen size Tucson wood bed, and leather loveseat. 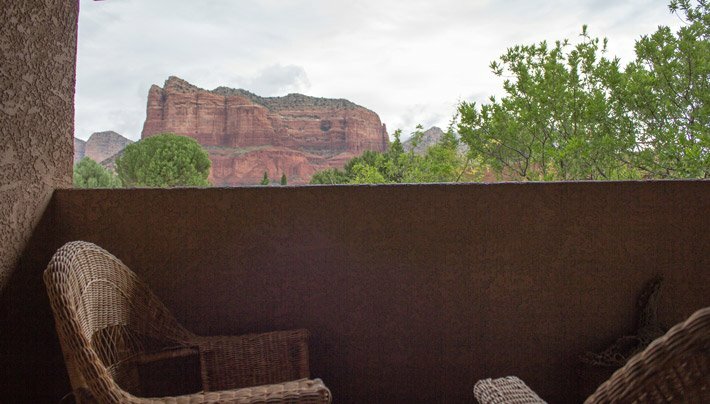 Enjoy the views of Courthouse Butte and Bell Rock from your private balcony. Occupancy in this room is a total of 2 people (2 Adults Or 1 Adult and 1 Child). Click "Book Now" to see our Discounted Summer Rates and other Seasonal rates!